Four Centura Health hospitals in the Denver metro area and Colorado Springs are trying to implement a new pay for performance program in concert with the Centers for Medicare & Medicaid Services (CMS). In January 2013, CMS launched the Bundled Payments for Care Improvement (BPCI) Initiative through the Innovation Center. Hospitals, like those within the Centura Health network, that are participating in BPCI are helping CMS pilot new payment and delivery systems built around “episodes” of care like a surgical procedure or a hospital stay for a chronic condition. Paying a hospital for an entire episode of care and developing target outcomes for the episode has the potential to mend the fractured care and high costs that many patients experience in the current fee-for-service world. Of the four possible models in the initiative, Centura Health elected to participate in the acute hospital admissions and post-acute care option because, as Renae Pemberton, ACO Program Director, explains, “We can make sure that from beginning to end, the patient is getting their health care needs met and together were addressing those needs to help them maintain and actively manage their health.” Patients eligible for Centura Health’s BPCI program are those admitted to the hospital for coronary artery bypass surgery, cardiac valve surgery, congestive heart failure, or a joint replacement. Ultimately, in a fee-for-value model, Medicare will pay a set price for quality care while providers assume financial risk if complications with the patient’s condition arise. During the first year of BPCI, however, hospitals are still paid on a fee-for-service basis. This allows them to continue to receive reimbursement while they take on the financial burden necessary to create networks of engaged providers and redesign care to improve efficiencies for each episode. In 2015, Centura Health will have the option to move into Phase 2 of the program where a two percent reduction in payment from Medicare will be implemented for each episode. This reduction incentivizes the participating hospitals to coordinate patient care across a spectrum of providers in order to ensure quality care and minimize financial risk. The possibility of shared savings with CMS also gives Centura Health extra motivation to make BPCI a success with financial rewards possible as greater savings are achieved. However, it is not about financial gain for the folks at Centura Health. Ms. Pemberton stresses that they are working to “add value to the patients’ care and throughout the health care delivery system . 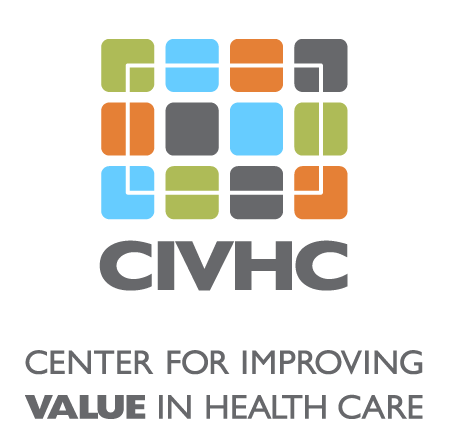 It is about transitioning from volume to value by focusing on wellness, prevention and keeping people healthy.” Part of the beauty of the BPCI initiative Centura Health selected is that it requires alignment of not only the patient’s hospital admission and treatment but also the physician’s services, the related post-acute providers, and any other services related to each episode such as a skilled nursing facility. Thus far, providers have expressed interest in the program and are willing to participate. They see how value will be added to the services and how outcomes can be improved, yet before signing on; they want data and more information. Centura Health received the 2013 data from CMS at the beginning of May and is now analyzing it to determine whether they will enter Phase 2 in 2015.